Ai is getting more special with news coming out from the Director Shankar who made Tamil cinema the world cinema. Ai the magnum opus from Shankar is nearing its final stage and special news is being out about the flick and the star Vikram. The director mentioned that Vikram is one actor who is versatile and takes pain as pleasure and his dedication to work has even shook the directors talent. Director Shankar has given an interview to a leading Tamil weekly and here are some highlights of it. The movie is shot mostly in China with the practical difficulties and the first half is done mainly in the country with lots of travel and research. Ai special effects and CG is done by Weta studios one of the world best studio for special effects. They have handled movie likes Hobbit,I Robot, X men and many from the Hollywood. Shankar has approached the studio for Endhiran as well but due to busy schedule it was not done, but Weto Studios has also accepted the fact Ai has a challenge for their CG and special effects. And the director also made huge appreciations for Vikram for his dedication and stated such an actor for a director is always easy to experiment and it is would be a joyful event for any creator. Ai has more specials for the audience and it will pay the team an 100 times for what hardships they went through. Ai is directed by Shankar, Music by Oscar winner AR Rahman and Produced by Aascar Films Ravichandran. 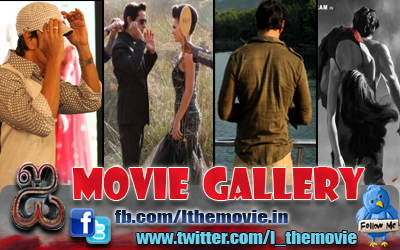 The movie has big casts like Amy Jackson, Ramkumar, Upen Patel, Suresh Gopi , Santhanam and many. The movie comes in as a summer fest.